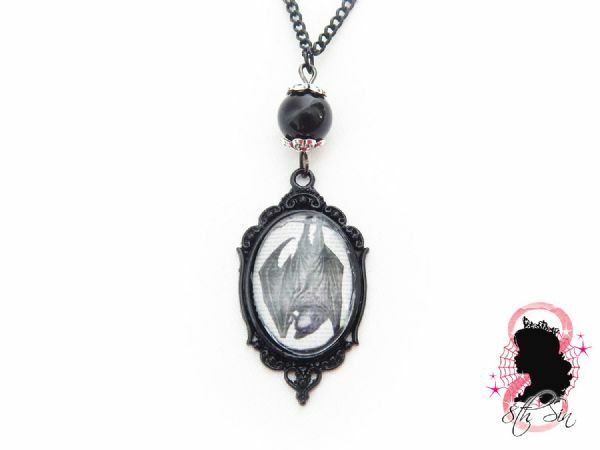 This is a gunmetal black necklace featuring a black upside down vampire bat. 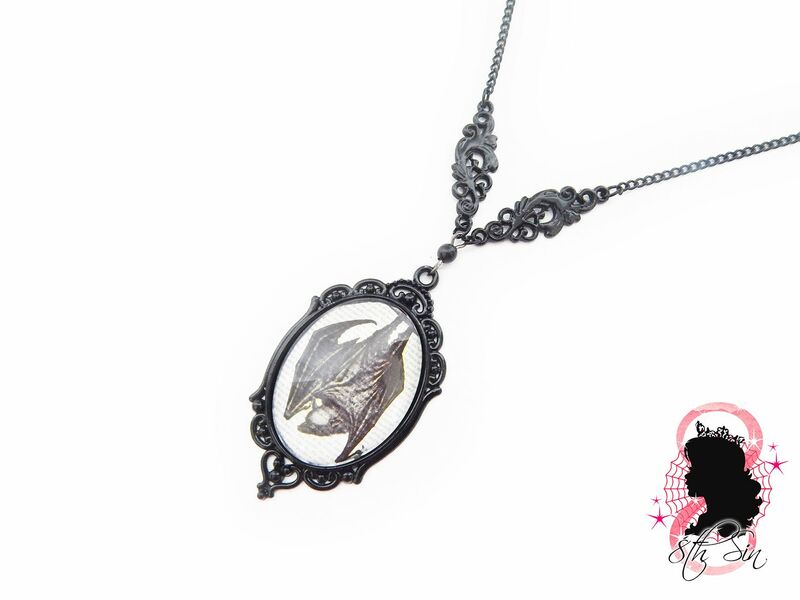 Made with alloy based findings, glass beads and a glass and paper cameo. The black bat necklace fastens with a black lobster clasp. The bat necklace length is approximately 18-20" including a 2" extender chain and can be made to a custom length if need be. 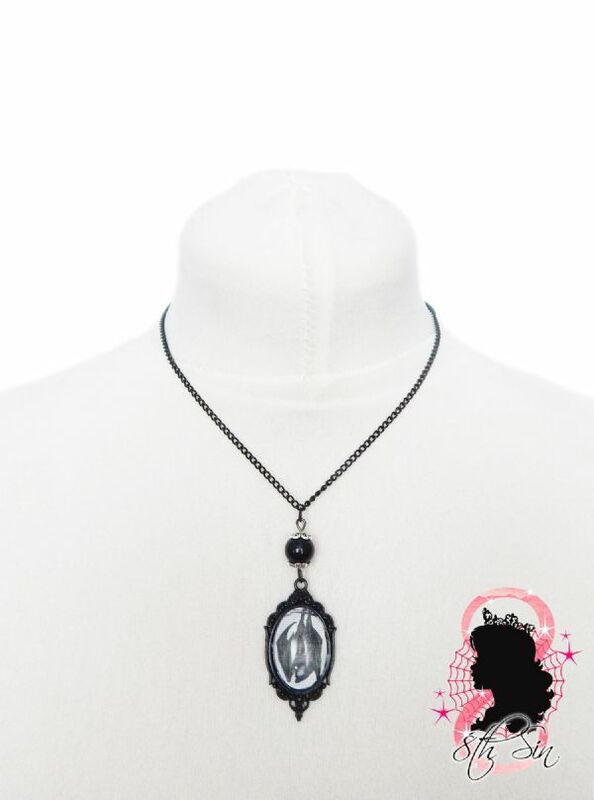 Please forward your preferred length via email or during checkout if you need the necklace resizing. 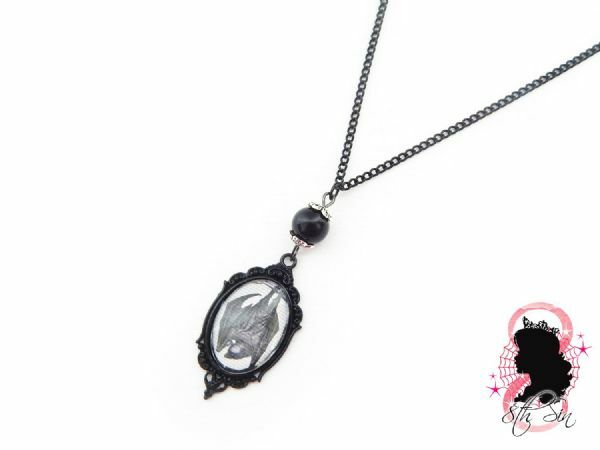 The cameo comes in two sizes, small (18x25mm) in a square frame and large (30x40mm) in a pointed frame.